The design style diminishes the distinctions among the building, indoor space and garden, and the consistent interaction between the architectural curtain glass and garden pool suggests theatrical emotion, as if an intriguing show unfold to the public. More than consolidating the architecture and surrounding landscape, the design plan logically displays the sophisticate space while sensibly establishes the environmental connections between the field depth and landscapes. The design attitude impeccably describing professional constructing techniques and humanity awakens people the desire for simplicity and grandeur. The project finished in May 2017 in China. The design plan comparably taking into considerations the factors of rationale and sensitivity has formulated the intimacy between the clients and design project, from the perspectives of views, colors, experiences, and story plots. Instead of physically presenting a traditional residence sales center, the designer spiritually focuses on triggering compassion from people. The space is 1500 square meters. Rather than employing ordinary architectural skill that proposes diverse spaces, the designer advocates varied space characteristics by furnishing with different floor qualities and furniture. 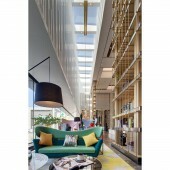 The installation of skylights fills the indoor space with sunlight, which vividly invigorates sales office. The hall with elevated and symmetrical structure signals the essence of sensibleness, where the decorative factors of lights, water and paints advocate the comforting life style over time. 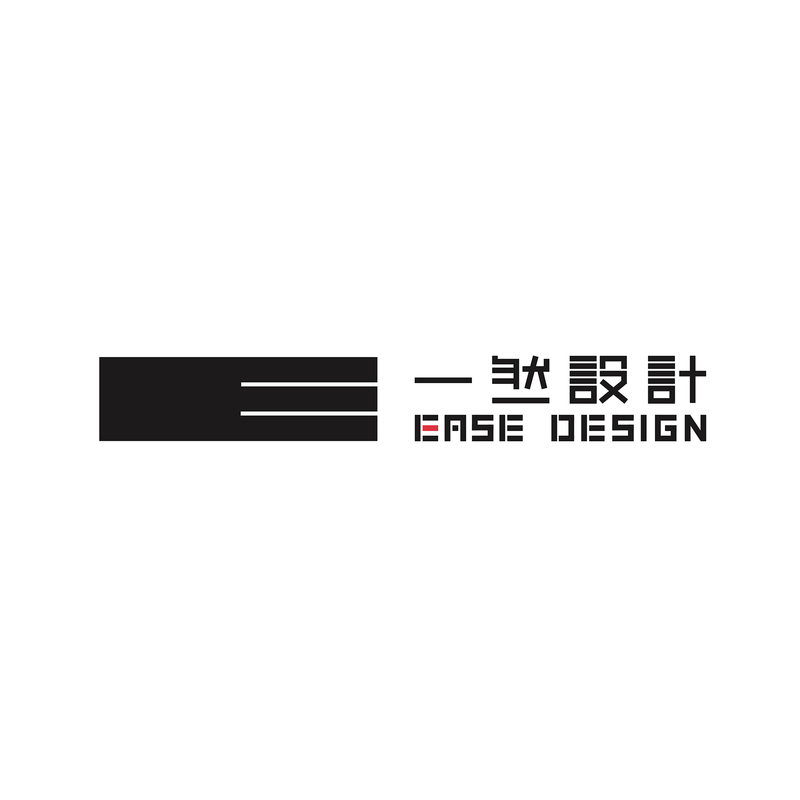 Ease Design, the noted real-estate interior design company, is founded by the prestigious designer Yang Xing-Bin, who diligently advocates the innovative spirit to become the leading interior design company for the real-estate show houses, sales centers, top-luxury mansions, etc. 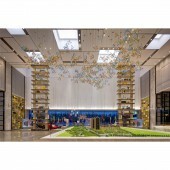 Proficient in displaying eye-catching colors and heart-warming delicacy, Ease Design has unique acknowledgement in spaces, colors and experiences. Disseminating the impressive recognition to the design works, Ease Design has been receiving many honorable design awards in real estates, show houses and residential villas, which motivate Ease Design to become the pioneer being the top real-estate interior design company. 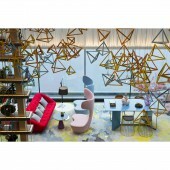 Shimmering Sky Interior Design by Xing-Bing Yang is a Nominee in Interior Space and Exhibition Design Category. · The profile and other works by Xing-Bing Yang is also kept secret. This information will also be available later. Shimmering Sky Interior Design by Xing-Bing Yang is Winner in Interior Space and Exhibition Design Category, 2017 - 2018. · Press Members: Login or Register to request an exclusive interview with Xing-Bing Yang. · Click here to view the profile and other works by Xing-Bing Yang. Did you like Xing-Bing Yang's Interior Design? Did you like Shimmering Sky Interior Design? Help us create a global awareness for good interior design worldwide. 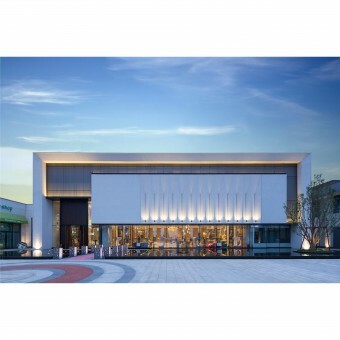 Show your support for Xing-Bing Yang, the creator of great interior design by gifting them a nomination ticket so that we could promote more of their great interior designs.